SD Card Formatter is a simple and basic formatted which is designed to be used with SD, SDHC and SDXC memory cards. The application itself isn't too different from the format utility included with Windows and includes two modes: Quick format and Overwrite format. CHS format size adjustment is the only other option. Once the appropriate card and volume label has been selected, the format can begin after hitting "Format". That's all there is to it. 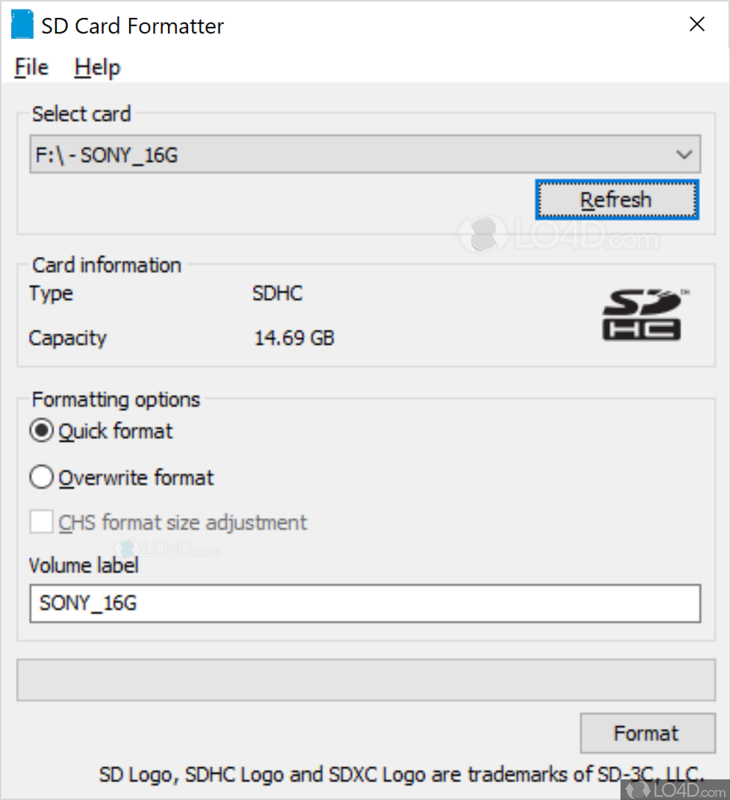 SD Card Formatter is licensed as freeware for the Windows (32-bit and 64-bit) operating system / platform from hard drive formatters without restrictions. 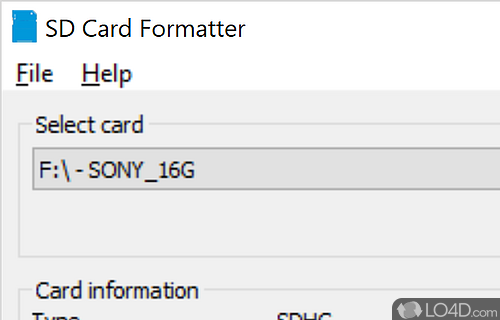 SD Card Formatter 5.0.1 is available to all software users as a free download (Freeware). Compatibility with this sd card formatter software may vary, but will generally run fine under Microsoft Windows 10, 8, 8.1, 7, Vista and XP on either a 32-bit or 64-bit setup. A separate x64 version may be available from Tuxera. This download is distributed as SDCardFormatterv5_WinEN.zip. We have tested SD Card Formatter 5.0.1 against malware with several different programs. We certify that this program is clean of viruses, malware and trojans.